A Paradox is defined as something that contains opposite characteristics, something that is impossible to comprehend but is utterly true and real. Such is the description of the photography Myio Okamoto (www.myiookamoto.com) and Michael Galang (www.icebox-imaging.com) Interesting how two different outlooks on wedding photography sprouted a deep sense of brotherhood and just like light and dark, one would not be significant without the other. 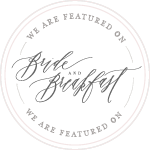 We aim to bring you the best of both worlds of wedding photography. The popular and sought-after radiant and bright which resembles joy and innocence, and the often misunderstood but uniquely technical moody and dramatic which evokes a sense of intense passion. To carry out this vision, it is only imperative to enlist the best in their respective fields. Each supplier welcomed the thought of producing two different works that would fit the contrasting themes. Without blinking an eye, Zandra Lim customized astounding gowns for the two concepts, one for what a relaxed garden bride would have, and the second, a stylish and elegant piece fit for the bold. To highlight each theme even more, event stylist Lai Reyes-Geluz of Made by Lai staged a homey set up which played with the airiness of space to give off that feel of ethereal beauty. In direct contrast, abstract geometric shapes and found objects were randomly positioned on the “dark” theme for that eclectic and abstract feel. Diana Santos’ makeup gave our bride that fresh and blushing look and later transformed her to having that edgy and fierce look makeup straight out of a fashion magazine. The genius of Dave Sandoval’s floral bouquet served as a versatile accent for the contrasting themes, it fit in seamlessly and quite well. As though these artisans were not enough, John Marvi de Guzman of Cinemaworks lent his poetic eye to come up with a visual treat, which is conservative to say, short of astounding. The concept of dualities (light vs dark, good vs bad, left and right, up and down) has long been a part of human history, story-telling and art. Many, if not most of us, attribute light to as being good and dark as to being bad or evil. But then again, we are only afraid of things that is unfamiliar to us. What if we view these two seemingly opposite ideas not as conflicting forces, but something that is complimentary, co-existing and interdependent to one another. Both are different, but not one better than the other. There is beauty in contradiction.